What could be better for the the aquarium design than a well-chosen and properly installed 3D background? 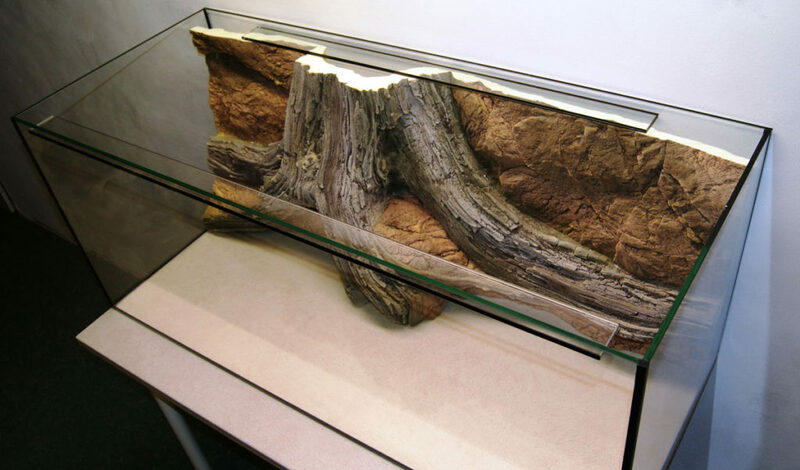 Some aquarists, however, suppose that it will take up a lot of precious space in the aquarium tank. Let’s think, if it’s really true or just a myth. It is very easy to check, how much space a 3D aquarium background pushes out. Just sink it into the aquarium tank and check the water-level before and after the submergence (Archimedes experimented with his backgrounds many many times indeed). As a result we can see that in fact, even the most rocky background pushes out just a few liters of water despite the seeming massiveness. But we still do not know, how much space is lost (if lost at all) behind a 3D background. It is necessary to distinguish, for whom this space is lost. For fish? We doubt, since if the background is properly installed (i.e., the aquarium filter intake is installed behind the background and the filtered water is released in front of the tank so that the water is constantly circulating between the two sides of the tank), thus the fish use the entire volume of the water to breath, helpful bacteria colonize on both sides of the background, which is a significant advantage, as the surface of a 3D background is several times larger than the surface of the glass it covers. So, a 3D aquarium background is beneficial for fish, it does not take them up any space, but instead, gives them shelters and a sense of security that is crucial for their health, as it is well known that the more shelters the aquarium has, the less stress the fish feels, and the more delight the aquarist gets. If you are still hesitating whether to install a 3D background or not, then just compare the aquarium tank with and without a background and make the right decision.